If there is one thing that I know about motherhood, it's that it's the BUSIEST and MOST draining (physically, mentally, and emotionally) job in the whole wide universe! If you're a mom, I'm sure you would 101% agree with what I just said. That's why we NEED all the help we could get from our husbands, the rest of our tribe and even technology to be able to raise the children well, provide what they need and be able to be able to cherish special moments with them. On the technology aspect, if we use it correctly it could really make motherhood easier. One example apart from smart phones, internet, and Facebook, I just love what my Canon PIXMA E Series Printer could do for me and my kids. Every morning kasi (the busiest time for me) I make an extra effort in preparing baon for my grade school and I take photos of it every day. I also love taking photos when we travel or attend a school activity. The photos I take every day I share them almost instantly on social media. But like old times, I want to be able to print them and actually have a tangible copy of memorable times I had with my children. With the new Canon PIXMA E Series printer, this is possible! Not only that, as a full-time working mom who also has other passion projects (I love DIY-ing our parties hence printing artworks is a must; I blog and need to scan and copy documents every now and then too) having a reliable printer saves a lot of time and effort so I could give more of these to my family. It's an ALL-IN-ONE Printer which can PRINT, COPY, and SCAN! - I love its multitasking functionality (because it's so like me) because I don't have to go out and find a photocopier machine to reproduce pages of some books for my kids or documents for work and my blog. I could do all that with my new Canon PIXMA printer! It has a built-in WiFi! - Oh diba, perfect family printer because si Daddy, Mommy, and Kuya who may be ding work/homework and need to print or scan remotely all at the same time, PWEDE! It really ideal for sharing with the whole family. Mobile Device Printing - If this is not the best part, then what is? 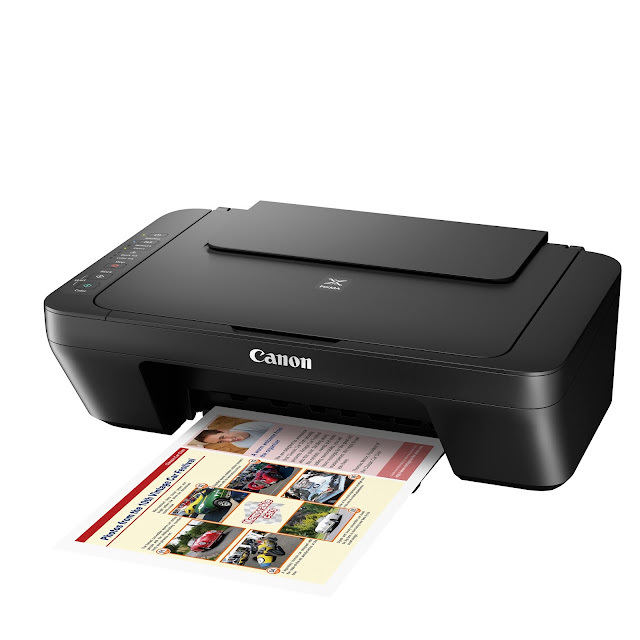 Imagine, I could just transfer photos taken from my phone to the Canon PIXMA MG3070s and I could print them right away! It can print photos from Facebook, Twitter, Flickr, even documents in PDF from Google Drive or Dropbox (naku madalas ako niyan because of my blog kaya super happy ako!) because of its PIXMA Cloud Link application which makes this remote printing possible. It supports different OS such as Android, iOS, Windows 10 Mobile and Windows RT. Life-saver! Now I can do old school photograph collection without looking old school, thanks to the technology of Canon PIXMA E Series printers! Lower Priced Ink Cartridges - Tayong mga practical mommies of course want to save as much as possible with our expenses. I'm happy to know that our new family printer's ink cartridges will not be a pain in our mommy budget. If you have a student at home or are into passion projects or you need to reproduce documents, we use the printer very often. With low priced ink cartridges, okay lang to print away whenever we need to. Winner diba? Now here are the other Canon PIXMA E Series printers which also has awesome features each. The Canon PIXMA E410 is perfect for moms who help put together her children’s numerous drafts of artworks, sketches and projects with its ability to print up to 400 black and white documents, and 180 colored pages. The design savvy student will enjoy the PIXMA E470’s built-in Wi-Fi features that can help print from anywhere to meet that deadline when paired with the Google Cloud Print*1 service. Teens in the family can immortalize their best photos on Facebook through the PIXMA MG3070s with its PIXMA Cloud Link application for remote printing of Facebook albums and online contents with mobile devices. While the compact PIXMA E480 model is best suited for aspiring entrepreneurs in the family with its on-the-go faxing and scanning features. Galing right? Wow, if we use technology wisely, it will actually help bring the families closer to each other and not set them apart. For me, that's what my Canon PIXMA printer does for us. I'm a certified #PIXMom! So what does your printer do for you and your family? Do share mommies! Happy bonding! Happy Printing! For more information, visit www.canon.com.ph and www.shopcanon.ph.